In late 2016, Coral Gables Congregational Church welcomed us into their arms, allowing us to use their space for both rehearsals and performances. It's been a great gift for the Miami Gay Men's Chorus and we are extremely appreciative of the generosity of the congregation. After years of being a church that opened its doors to the whole community, the congregation decided in 2002 to undergo the Open and Affirming process. In 2003, the congregation voted to become an Open and Affirming church, welcoming into life of the church people who are Gay, Lesbian, Bi-Sexual and Transgender. Today, we enjoy a rich and diverse community that respects all people regardless of their sexual orientation. Every Sunday we open the worship service with a loud proclamation of justice. No matter who you are or where you are in your journey, you are welcome here. We invite you to be a part of our community of faith, to be blessed by God’s grace in our midst. We invite you to Coral Gables United Church of Christ to grow spiritually, and to find welcome at God’s table. Our vision is to be an inclusive, vibrant, alive, witnessing community of faith. We are the people of South Florida, a diverse, culturally rich, and intriguing community. We are young and old, economically fortunate and economically struggling, Hispanic and African-American, gay and straight; we are native Miamians, and transplants from around the globe. A common misconception is that Church goers are stuffy, standoffish, and don’t like newcomers. Nothing is farther from the truth here. We want you to experience our friendship and closeness firsthand. We want you to feel comfortable and to enjoy worship with us. Visiting a church for the first time can be a frightening experience. We know it can be scary walking through those big wooden doors. We assure you, though, that the hard part is making up your mind to visit. Once you are here you will find a haven of hospitality, beauty, and inspiring worship. Please join us. We are expecting you! 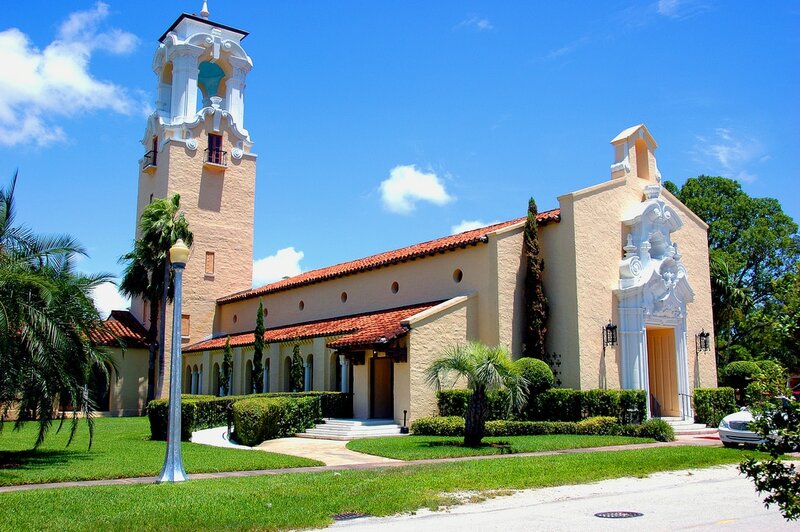 For more information about Coral Gables Congregational Church, please visit http://gablesucc.org.